All our products are ordered through the local organic store "Naturdis" in Grasse. They are delicious, flavourful foods without pesticides or insecticides. All our fruits and vegetables (apart from some rare exceptions) are cooked fresh. The school’s chef uses very little fat when he prepares the children’s meals. He avoids using sugar in his desserts (for example his applesauce is made from fresh, ripe apples with no sugar added) or replaces it with agave syrup or other natural alternatives. He uses very little dairy milk and instead favours rice cream to thicken his sauces. Meat is not on the menu every day, but is varied with vegetable proteins, eggs and fish. The quantities given to the children correspond to their needs, as too much meat consumption is undesirable for their health. 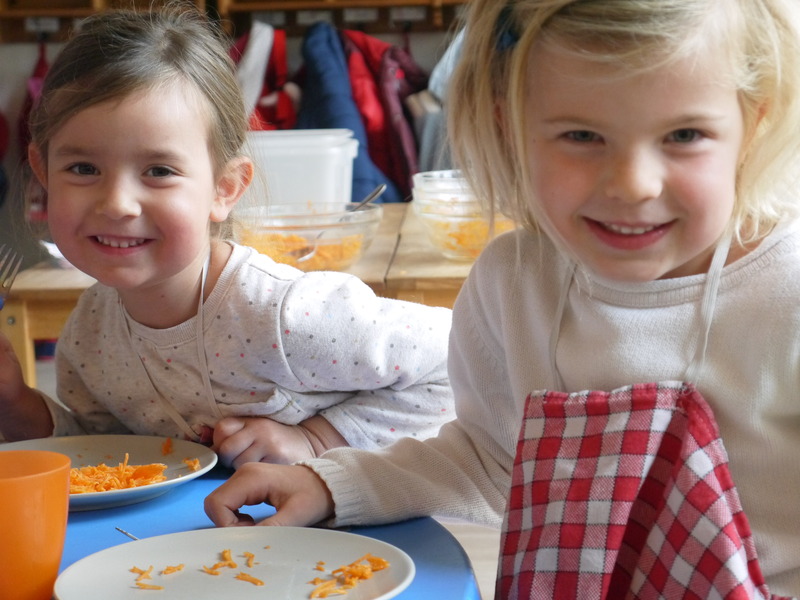 Our cook seeks to offer balanced, healthy meals that are enjoyed by all the children. He takes note of the dishes they like the most and adapts his recipes accordingly. He can then make recipes from the list of their favourites with slight variants, so the children can explore new tastes. He also ensures that mealtime is a pleasurable moment with flavourful, beautiful meals. Additionally, we are particularly attentive to the strict standards of hygiene and traceability of all our products. Snacks are all furnished by the school. 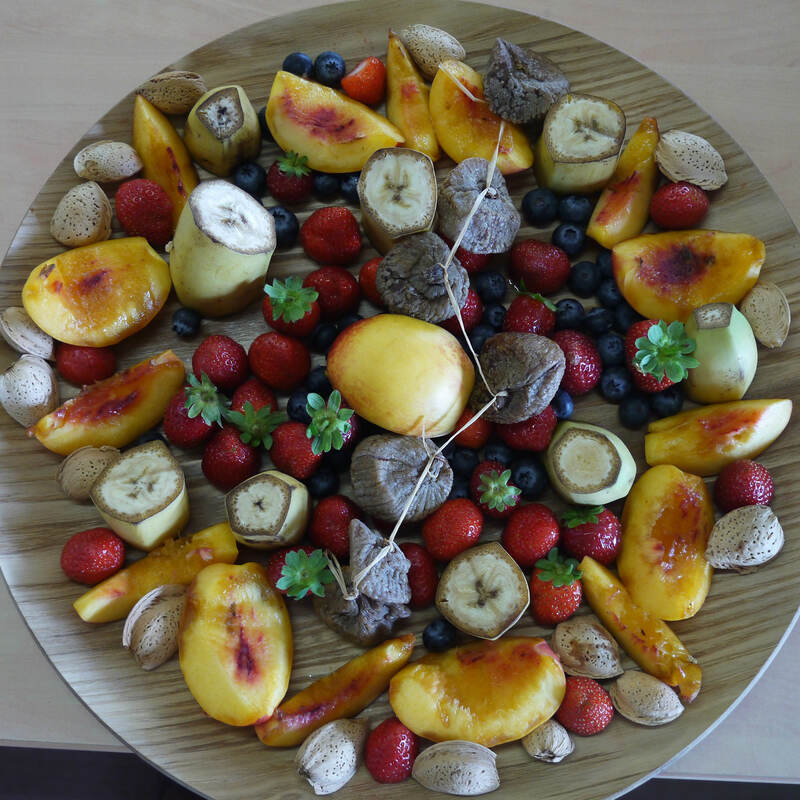 They are composed of seasonal organic fruits (apples, grapes, melon, etc.) from Natrudis.